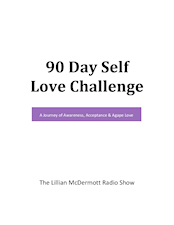 Week of 2/18/19, on The Lillian McDermott Radio Show! My angels are working overtime! For years, I have been asking for a social media expert to take over and help me grow. Well, guess what? The program director of digital marketing at Full Sail University, Rob Croll, fell down from the sky, fluttered his wings, and shined his halo on my face! Click Here to learn about it! I am so grateful to Greg Straubinger of Los Angeles Film School for introducing me to Rob! Monday, 2-18-19 ~ Have you had your G-BOMBS today? If you haven’t, you will want to after this show. Whenever I do a show with New York Times bestselling author, Dr. Joel Fuhrman, my listening and viewing friends have even more questions. So, it is time for Dr. Fuhrman to answer more of your questions. Tuesday, 2-19-19 ~ To quote the great philosopher, Kermit The Frog… “It’s not easy being green.” The mission of Keep Me Safe Organics is to not only create toxin free beauty products but to develop makeup that will make us look and feel beautiful. Rebecca Black, co-founder of Keep Me Safe Organics, will discuss “Green Beauty,” why it is important, and how we can get it! By the way… To get 10% off your purchase, go to Keep Me Safe Organics, enter code “Lilly10” and SAVE! Wednesday, 2-20-19 ~ Are you at risk for cardiovascular disease? If not, congratulations… Just realize that not everyone truly knows if they are at risk or not. If you are at risk, then listen up. You might be choosing unintentional suicide! Are you or someone you know just a double bacon cheeseburger away from a heart attack? Here is the deal… Cardiac disease needs never exist. Now is the time for a “Lifestyle Intervention” with world renowned integrative physician, Dr. Lee Cowden. He will teach us what we need to do to prevent or reverse cardiovascular disease. Thursday, 2-21-19 ~ Our cell phones have become an extension of our bodies… Even though there are reports that our cell phones emit harmful Electro Magnetic Frequencies (EMF), we still cannot live without them close by. Would you give up your cell phone to discover how it is affecting your body? What would your life be like if you did not have a cell phone? Cancer coach, Elyn Jacobs will share what EMF’s do to our body and what we can do to protect ourselves. Friday, 2-22-19 ~ Dr. Lorraine Day is a stage 4 cancer survivor who was told that if she didn’t do chemotherapy, she would die… That was 25 years ago and she did not do chemo! Usually, when Dr. Day is on the show, she empowers us to reverse cancer and disease, naturally. With childhood diseases on the rise, I asked Dr. Day to share her tough love wisdom. Dr. Day will help us understand the cause of Dyslexia, ADHD, and Autism, and how to improve these disorders, naturally. Saturday, 2-23-19 ~In 2013, I watched a documentary called Food Matters, featuring Orthomolecular Scientist, Dr. Andrew Saul. I immediately reached out to him. During our first interview, Dr. Saul shared how I could get off my asthma medications by using vitamin C. I have not looked back. Making the decision to get off my asthma medication has kept me from potential long term side effects. I asked Dr. Saul to share his 7 Steps to Better Health! On February 17, 2019 / What is Happening Weekly?